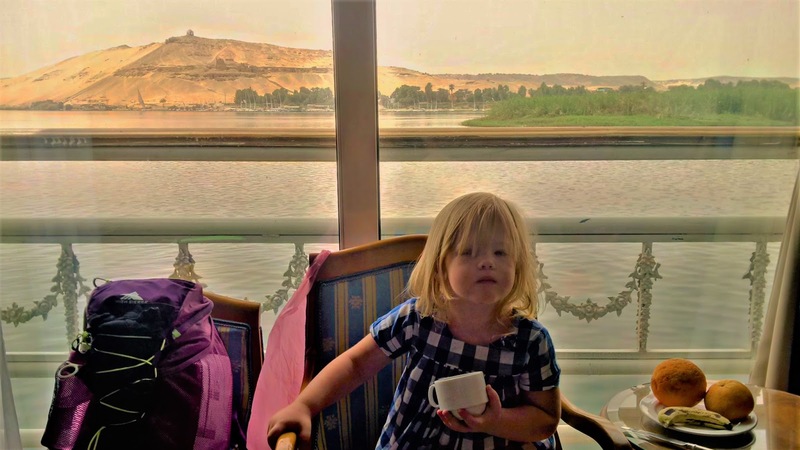 Our family of four (plus one set of grandparents) took a Nile River cruise from Luxor to Aswan during the kids' Spring Break from school. We also saw parts of Cairo before the cruise started. And, more importantly, we made many new memories (and even some new friends!). Here are some of our stories from that trip. I think I'll have my breakfast in my cabin overlooking the Nile. Day 3: 4th April, Luxor East: Karnak Temples, Luxor Temple, and a carriage ride through town. We got two of these for the trip and they worked great! NOTE: I still have to add the photos, and a few of these posts are still in draft. So, as you can tell, it was a pretty good trip with lots of great memories. Pro Tip: bring some peptobismol tablets and/or pro-biotics to create a protective coating in your digestive tract. I didn't and I caught something that lasted for a few days.